SINGAPORE, JAN 15, 2013 – American Jazz pianist, Kirk Lightsey, will be at Singapore’s Club L’Opera for an exclusive showcase on January 23 and 24. This marks his first ever performance in Singapore. Lightsey, also known as Motortown pianist, defines himself as having "a Bud Powell awareness, an Art Tatum styling, a bebop feeling and a pianistic approach". Many feel he is probably the last, great Post-Bob pianist. Lightsey, who is currently fulfilling a five-week Artist-In-Residency at No Black Tie jazz club in Kuala Lumpur, will collaborate with Singapore’s legendary drummer Louis Soliano and bassist Christy Smith for the first time as The Kirk Lightsey Trio for the Club L’Opera Singapore gig. 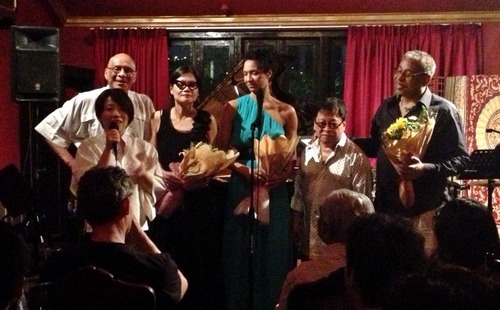 This Singapore gig is a collaboration between No Black Tie (NBT) jazz club in Kuala Lumpur and Bon Gout Music. The collaboration was conceived out of deep passion for jazz music and this will be the first of many to come promoting Jazz exchanges across the Causeway. In Kuala Lumpur, the 14-year-old NBT has earned its reputation as the most sought-after venue for upcoming as well as established musicians around the world. It is the venue of choice for Kuala Lumpur’s most discerning of music-lovers. Having recently acquired the Fazioli piano, NBT continues to provide the best musical experience for its audience. Those who wish to experience the rare, one-time performance of The Kirk Lightsey Trio can make their way to Club L’Opera at Boat Quay on Jan 23 and 24. Tickets at S$45 each.